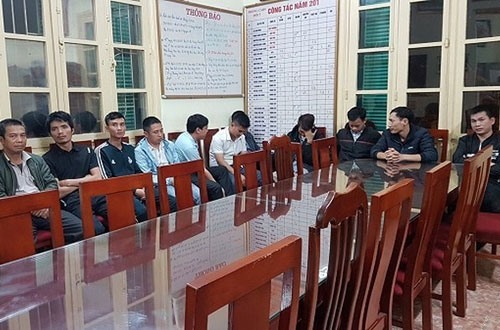 HÀ NỘI — Police in Hà Nội are planning to punish 12 people for conning people into using illegal taxis at Nội Bài International Airport. The 12 people, aged between 26 and 40, are from Hà Nội and neighbouring provinces. On March 19, they all received administrative fines. The culprits admitted to police they had lured passengers to illegal taxis in exchange for a commision, that reached VNĐ50,000-100,000 (US$2.1-4.3) per passenger.